"There is a great Brazilian sweet that is like a bonbon and extremely scrumptious and delicious called brigadeiro! This is a great type of sweet that is loved here in Brazil! Try it! You can make it in the microwave too, just remember to stir every minute." 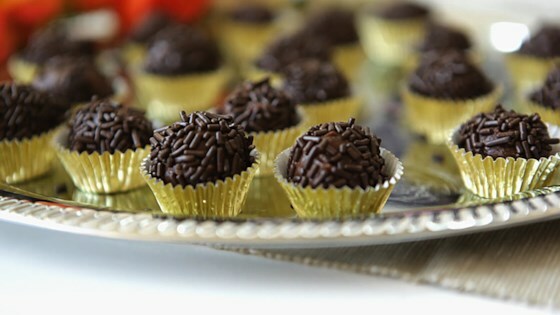 Watch how to make Brazilian brigadeiros! I just made these...the flavor was great, but it was so sticky we could barely eat it. Can anybody tell me what I did wrong?